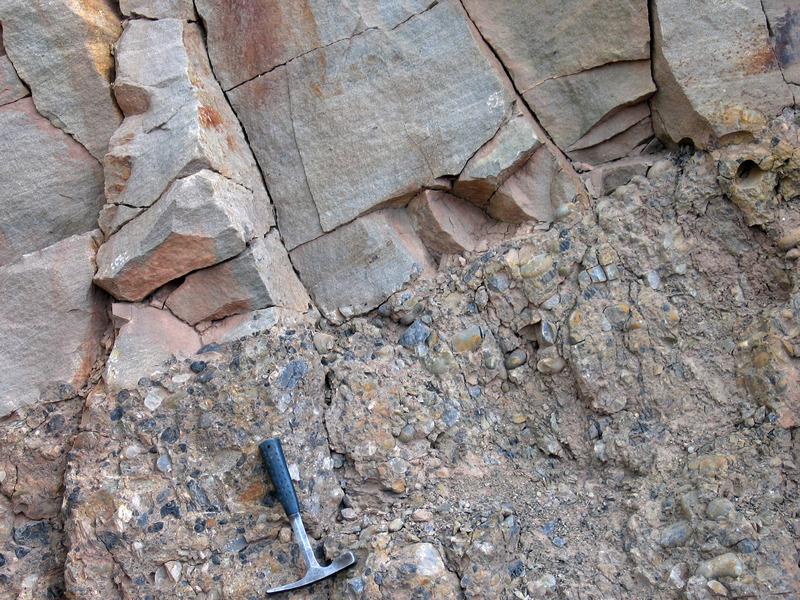 A geologic contact is the surface along which one rock touches another. They may be either Depositional, Intrusive, of Fault contacts. 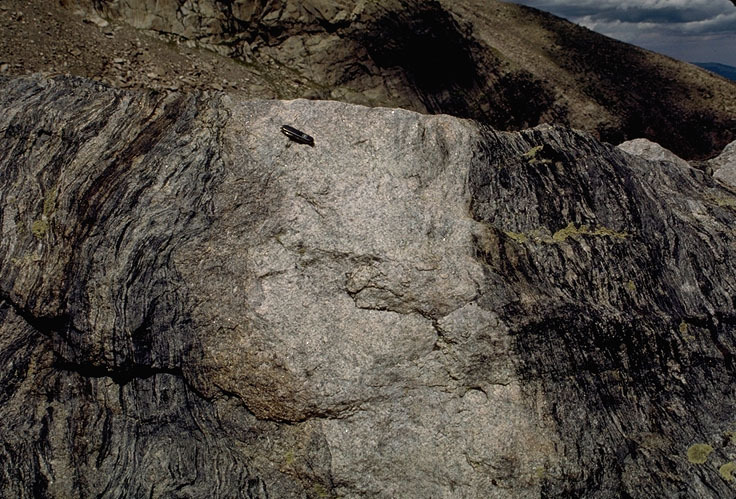 Intrusive contact between granite and gneiss. Note irregularity of contact. 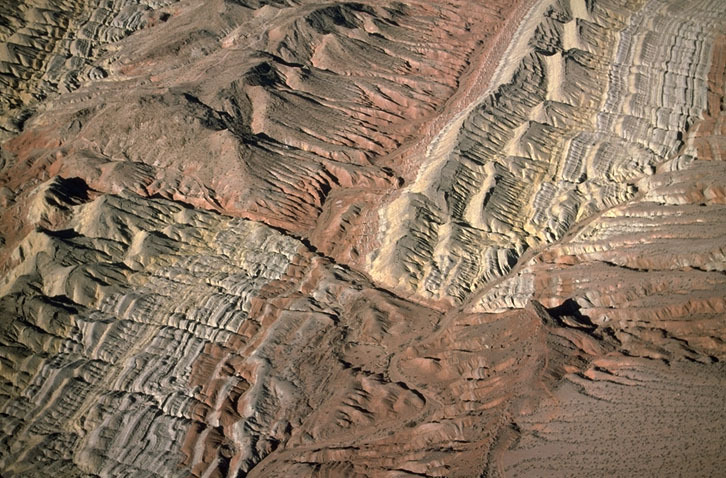 Fault contact (aerial) between different Mesozoic sedimentary rocks, Nevada.